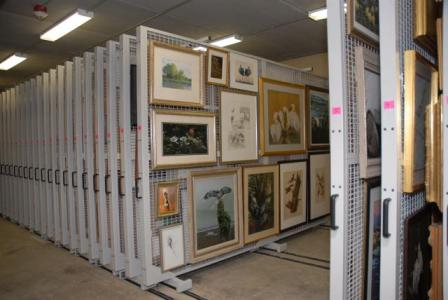 Our artwork storage systems, Mobile Art Racks and ArtStor Pullout Panels, require less space to store your collection, which will double your artwork storage capacity in the same area. 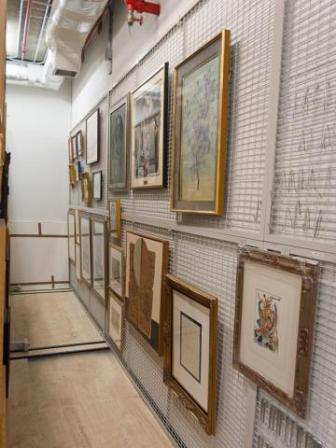 The racks and panels will display your collection, which makes it easier to keep track of and inventory artwork. 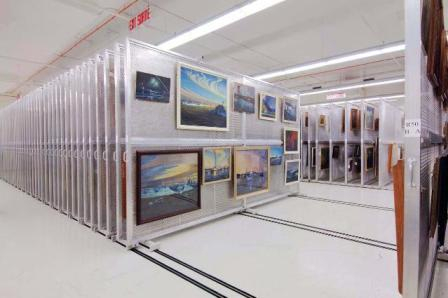 In addition, storing your artwork in Mobile Art Racks and ArtStor Pullout Panels keeps it off the floor and protected. 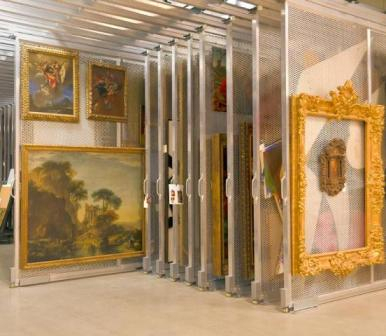 The Mobile Art Racks are mounted on carriages that move on steel rails. 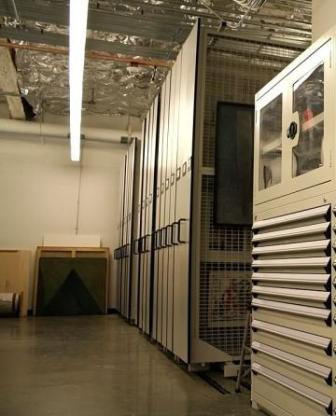 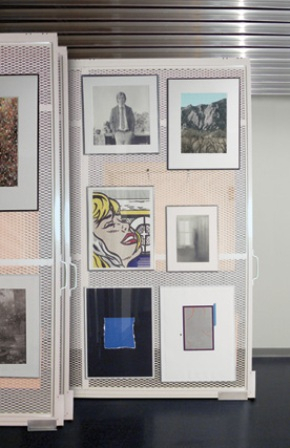 By sliding the rows of racks from side to side, the system is able to eliminate space-wasting, idle aisles and compact the stored artwork into a much smaller footprint than any stationary system while still providing 100 percent access whenever needed. 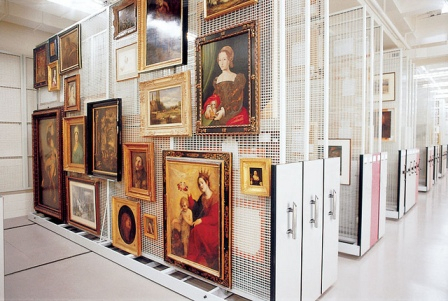 The ArtStor Pullout Panels are hand controlled and ceiling mounted. 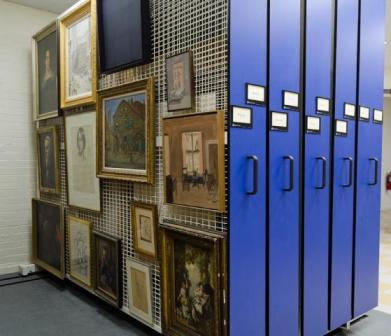 To access stored artwork, you simply pull a handle and the panel glides out. 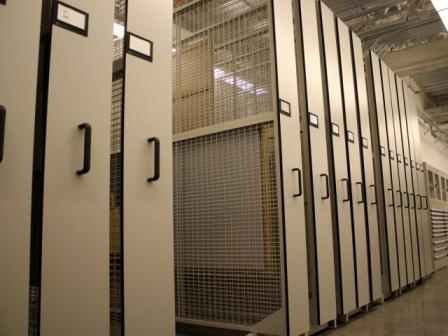 The ArtStor Pullout Panels provide a smooth and easy operation that won’t disturb any of your stored collection. 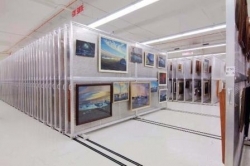 The double-sided wire mesh is flush with frame on both sides and with the posts, which gives you unlimited flexibility for arranging stored artwork. 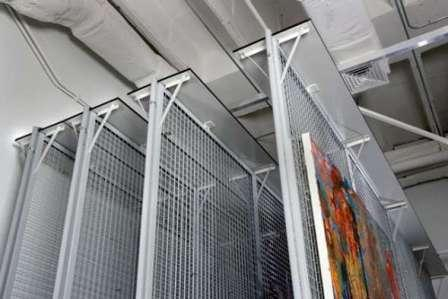 The steel construction makes the Mobile Art Racks and ArtStor Pullout Panels very durable and strong so that they will last. 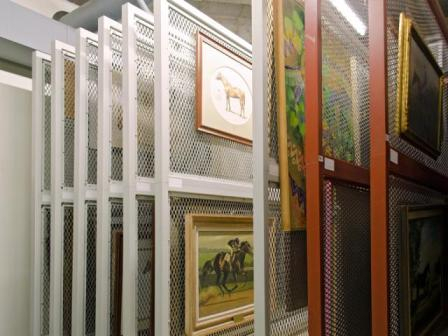 The powder-coat painted panels and carriages keep artwork safe from off-gassing and will match any décor. 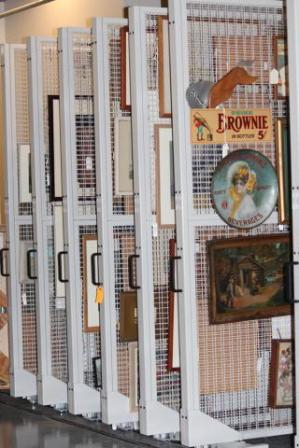 Wall Mount Panels come standard with mounting brackets and rectangular mesh screen on one side.